This page is under reconstruction (mid 2018). This work is delivered through four workstreams combining manufacturing technologies, company management and supply chain management. The group supports the MAA team in implementing the DRAMA (Digital reconfigurable additive manufacturing for aerospace) programme. The MAA is a formal partner in this programme. The MAA role is to ensure that Midlands and UK aerospace supply chain manufacturers have the best possible opportunities to learn about, adopt where possible, and adapt to this critical new technology. Click here to learn more about additive manufacturing in the aerospace supply chain! And to find out how DRAMA could benefit your company come along to a DRAMA event – click here to go to our events page. The group is setting up a cluster of about a dozen small manufacturers that will work together to improve their performance under the UK national SC21 Competitiveness and Growth programme, following the model being implemented by the North West Aerospace Alliance. The group works with the MAA Technology Development Group to promote participation by manufacturers in funding schemes like NATEP. 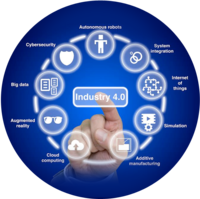 The objective is to encourage more companies traditionally thought of as "make-to-print" companies to build on their considerable know-how and undertake formal research and development projects to solve their manufacturing challenges. The group promotes information dissemination, events and research projects around digtal manufacturing and supply chain management. This work is comprised of several smaller activities rather than an organised programme of activities, and also encompasses activities delivered by the other MAA working groups.